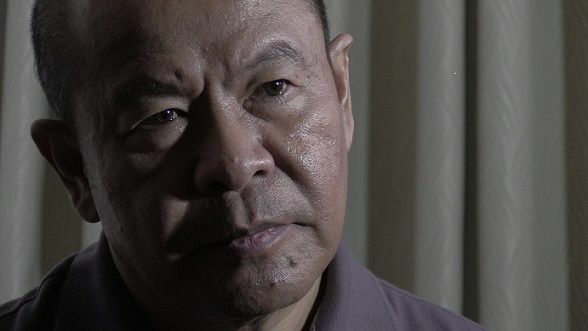 Arturo Lascañas said Senator Panfilo Lacson should know exactly what he’s going through as he himself had sought help from other people when he went into hiding years ago. “Sa lahat ng tao, si Senator Lacson dapat ang pinaka makakaunawa sa aking kalagayan. Hinanap sya ng awtoridad at umalis sya dahil sa pangamba sa kanyang safety,” Lascañas said in a statement. “Marami din ang naniwala sa kanya na tama ang kanyang ginagawa kaya maraming tumulong sa kanyang pagalis. Ganun din sa akin. Maraming naniniwala at nagmamalasakit kaya nila ako tinutulungan,” he added. Meanwhile, In a text message Tuesday afternoon, Lacson said he understands Lascañas’ situation, adding he only questioned who is financing Lascañas’ expenses as no one has owned up to being involved in the “scheme” to destabilize the Duterte administration. “I am not blaming or criticizing his decision to leave the country. Anybody who feels persecuted and physically threatened is entitled to make a personal decision on self-preservation,” he said. “If I asked which group is financing his and his family's trip and accommodations in an expensive place like Singapore, it was in the context of an obvious destabilization efforts against President Duterte since nobody seems to admit being involved in the scheme,” Lacson added. “I will never regret that decision. I thought it was the right decision to make given the circumstances at that time. If Lascañas feels the same, so be it,” Lacson said. Recently, Senator Lacson questioned who’s paying for his expenses to go to Singapore amid supposed threats to his life, and the possible filing of a lawsuit over the accusations he made against President Duterte. “That could be his personal reason for leaving. It may be worth to find out who spent for his and his family's trips and accommodations in Singapore which is an expensive place to stay,” Lacson said. “Contrary to reports that he left quietly, I don't see that since he allowed himself to be accompanied by a news reporter,” he added.